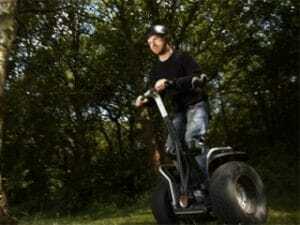 Experience the joy of future travel with these amazing Segway machines! 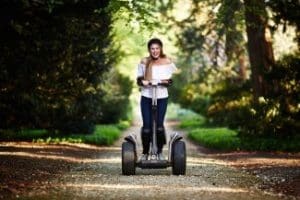 Experience the fun and enjoyment of Segway Adventure, at any of the amazing UK Locations including Alexandra Palace! 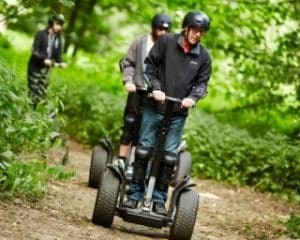 Take to the off road in style and experience the future of travel on board a Segway X2! In groups of around 10, you'll be on a 3 stage session to gain confidence, ability and finish with a free roam to really enjoy these amazing machines. Lean forward and experience the future of travel, at a selection of picturesque locations in the UK. Once you have arrived and been welcomed to the centre your Segway Adventure will begin with a safety brief before signing a waiver and getting dressed up in the safety gear. Then, you'll be off on a practice session around a coned area to gain confidence before joining the rest of your group to reach stage 2 of the experience, where you'll be testing and practising your skills ready for stage 3 - where you'll be free to explore and really get to grips with these amazing vehicles of the future! The experience will finish with a certificate to commemorate the day, so you can take a souvenir home to cherish forever. Segway driving days are fantastic gifts because they're unique, thoughtful and utterly unforgettable. Treat someone (or yourself) to a Segway Adventure this year and make some memories for a lifetime! This experience is available on selected weekday and weekend dates throughout the year (subject to availability). Times between June to August are 9am to 7pm (5pm in North Yorkshire). In the months with shorter days they run from 9am to 3pm and sometimes 5pm. Sessions are run hourly. Please call us if you would like to check the availability before purchasing a gift voucher. Experience not suitable for pregnant woman, or sufferers of heart disease or epilepsy. You must be at least 134cm in height and 7.1 stone in weight to safely ride on a Segway. 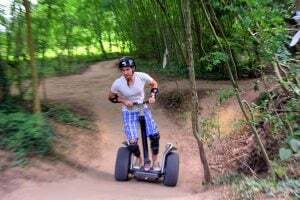 Riders will not be allowed to ride a Segway if their weight exceeds 18.5 stone. It is not suitable for pregnant women, or anyone suffering from a heart condition or epilepsy. Anyone under the influence of alcohol or drugs will not be allowed on the Segway. *Please note: Riders will not be allowed onto the circuit unless they are able to demonstrate they can control the machine to the standards set out in the training area. Allow around an hour for the Segway Rally. Participants: The Segway Adventure - 1 Hour is for 1 participant. The average group size will be between 10-12 participants. All participants must wear the protective items to take part in experience, this includes a helmet, elbow pads & knee pads. 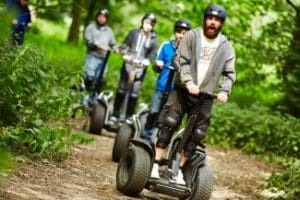 Segway experience in Knutsfordâs Tatton Park. This worked really well and I enjoyed the ride. 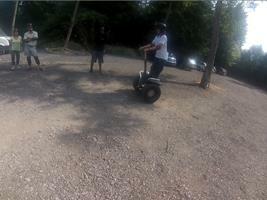 The instructors were very good and made the actions involved in riding/driving the Segway very intuitive. The experience was a gift for me and I would recommend it as a gift for others if anyone is short of ideas at Christmas. 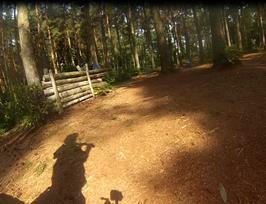 Tatton Park was a good venue though itâs size made finding the right spot confusing. The instructions could have been clearer. Luckily the gatekeeper knew where to go. A really enjoyable and fun experience. Bought by my sons for Fathers Day - Great time had by all - easy to use, great instructor and organisation - recommend this for an hour of fun & laughter! Segway Experience was really good. Well organised with good training. A fun event to do and would certainly do more and use them again. Had a brilliant time, but fell off at the end and broke 3 bones in my ankle, hence plaster cast for 6 to 8 weeks.So I will always remember my day with Segway, thank you Peter. Thank you to the boys who changed my punctured wheel. 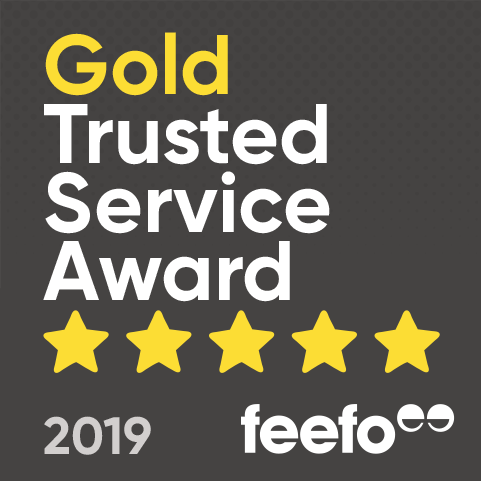 thought it would of been nice to get a photo in our certificate included in the package, even by adding £2 to the cost of experience. Rally experience was booked as a birthday for my son - you were let down by the fact that the team photo which was promised was not taken or handed over. As I didn't attend there was no one to chase it up. Are there any age restrictions for this experience? There are no specific age restrictions for the Segway Experience. However, participants must be in good health and be at least 134cm in height. How long is the segway experience? Your segway experience will last approximately 1 hour, however you will be at the centre for 1 - 2 hours. When is the availability of this experience? 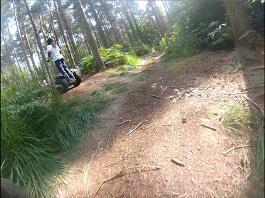 The Segway rally is available on selected weekday and weekend dates throughout the year. However, from June to August the provider operates between 9am to 7pm (5pm North Yorkshire). In the later months with shorter days, it runs from 9am to 3pm, sometimes 5pm. Sessions are run hourly.